Taranaki lock Jarrad Hoeata and Southland No.8 Elliot Dixon will face judicial hearings on charges of foul play following their first-round NPC matches. Hoeata was cited for a dangerous tackle and for striking a player after an alleged swinging arm tackle during Taranaki's 30-6 loss to Canterbury in Christchurch on Friday. Dixon faces a dangerous tackle charge against a Tasman opponent late in Southland's 25-15 loss at Invercargill on Saturday. 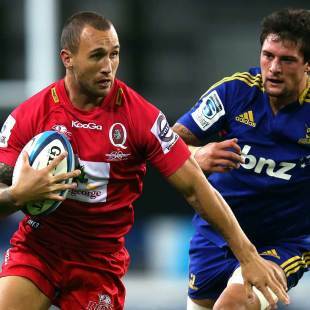 Both players, who are Highlanders Super Rugby forwards, will face the judiciary on Tuesday.